How do busy athletes maintain consistent, high-quality training day after day, week after week as they prepare for their goal events? If you’re like 21-time Ironman finisher and coach Patrick McCrann, you focus your workouts on what matters most. This problem isn’t unique to Patrick. Most athletes have to juggle busy careers, family, friends, and personal time with their time in the gym. This can be especially true for swimmers, who have to use a pool or open water to train properly. 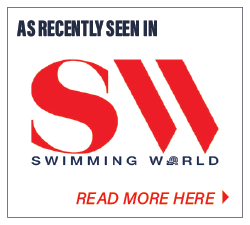 Even when not time-starved, swimmers, triathletes, and even surfers have the added hurdles of scheduling, driving to the pool or open water, changing clothes before and after, dealing with crowded lanes, chlorine water and fitting into a group practice to train safely. In other words, it’s not always simple or easy. However, people have discovered there is an effective way to get training done and save time & hassles: working out at home. Yes, even swim training can and should be done at home or the club. Here’s why. In competitive swimming and in triathlon, the actual time spent racing pales in comparison to the amount of time most spend preparing for racing. Of course, this varies depending on the length of the swimming event. For example, in the sport of Triathlon, the time to complete the swim course is typically far less compared to the bike and run course times. Pool swimmers’ events can vary from 50 seconds to 20 minutes, and greater for open water swims. So the training time required for swimming events is much greater proportionally to the actual time spent racing. Consider the “hoops you will jump through” to complete a traditional swim workout. It’s not unusual for a 45-minute swim training session to take upwards of 2 hours or more. What happens if you don’t have 2+ hours to devote to the swim training plan, especially during a busy week? Even worse, what do you do if pool access is a real problem or not even possible? 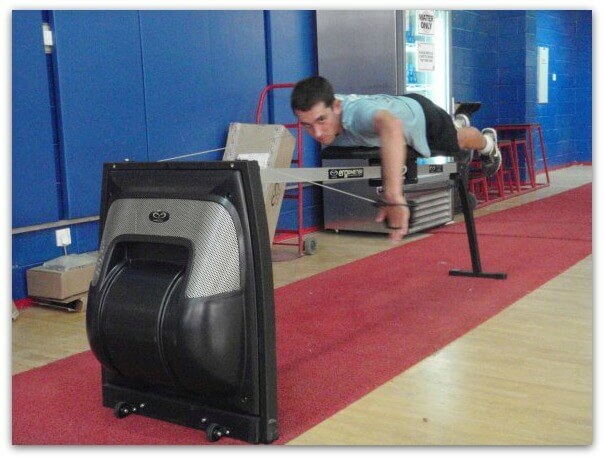 Many athletes (and their coaches) have discovered a great solution: Get it done efficiently at home with a swim-specific training program using indoor equipment like the Vasa SwimErg or a Sport Bench with stretch bands or cords. Working out at home allows you to condense a 2-hour workout into the essentials, so even when you can’t get to the pool, you’re still building muscle, practicing correct form, and reducing injuries. Here are 10 ways that working out from home can help with your swim training. As Coach McCrann said earlier, the biggest time saver when it comes to swimming training is doing what matters the most, first. If you only have 45 minutes to swim, you want to ensure you’re focusing on the exercises that really make the biggest impact. 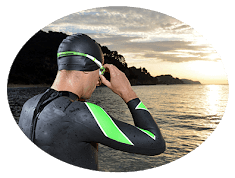 Triathlete race in open water. They don’t make flip turns or take interval breaks during a race. They need sustained power, efficiency & confidence for “combat swimming”. So why train something never used in races? 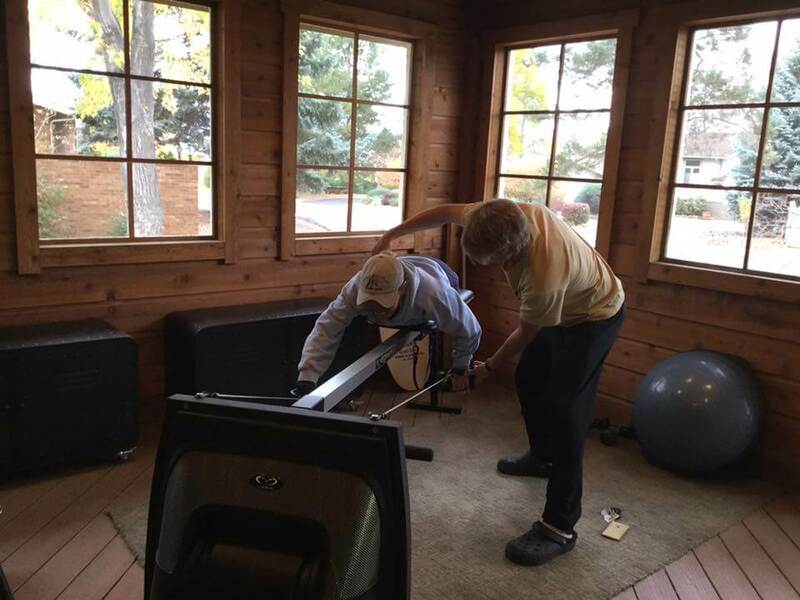 With indoor swim training using a tool like a Vasa Trainer or SwimErg, the focus will be on a time-efficient quality workout that builds strength, power and endurance while improving stroke technique & form. Nothing else. Another benefit of indoor or at-home swim training is the ability to avoid poor swim conditions. Open water varies a lot and is unpredictable. Pool conditions & water quality can vary depending on a variety of factors, including crowded lanes, harmful chemicals, and cleanliness. In some cases, you also have to deal with other swimmers bumping into you, thereby increasing the risk of injury. While you can’t always predict what will happen during a race or in-water training session, you can still give yourself an advantage by practicing your form and techniques in a safe environment. For triathletes, being able to get a swim-bike brick workout is essential. 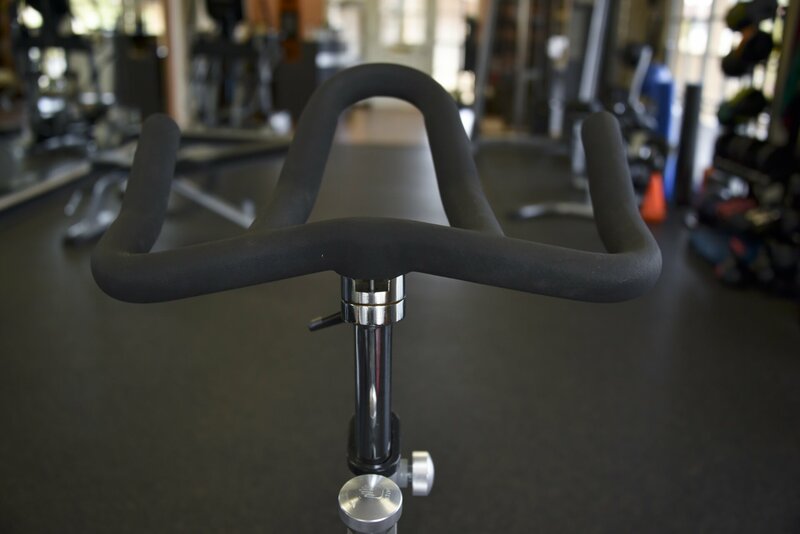 You will rarely have that opportunity when you train at the pool since bikes and other equipment if they have them, are often kept in a separate space. By the time you can get out of the water an onto a stationary bike, or onto a rideable road bike, the effectiveness of the workout is already lost. With a stationary bike trainer set up next to a SwimErg, on the other hand, you can go directly from swim training to biking, just as you would on a race day. If you add in a treadmill to the mix, you have an effective way to train for all three disciplines at home. At-home training gives you the time and space to perform exercises properly. You’re not being rushed by other swimmers waiting for a lane, and there’s no pressure to have to pack up and shower by a certain time. Dedicating the right amount of time and energy to every exercise is paramount for injury prevention, especially for the most common injuries, like swimmer’s shoulder. At-home training will give you the same injury-prevention benefits without wasting unnecessary time. If you do get injured, training at home will allow you to train your uninjured muscle groups while you’re recovering. When you’re swimming in the water, you’re forced to use every muscle group, even the injured ones. There’s no ability for you to train in isolation, or to perform rehabilitative exercises on your injured muscles. Swim training on land with a tool like the SwimErg will allow you to focus on form and technique, which can aid in muscle recovery as well as prevent further injury. It can also take the weight off of your body, which is ideal if you’re suffering from lower body injuries like IT Band Syndrome or knee tendinitis. Many swimmers also struggle with “monospeed“, which is when hand speed is the same slow speed throughout the stroke. It’s a lack of applying a powerful pull from the Catch to the Finish of each stroke. One key benefit of using the SwimErg is the ability to see if you are consistently using a high elbow catch and be sure you are accelerating from “catch to finish” in order to apply more propulsive power. When you’re out of the water on a SwimErg, it is a lot simpler to laser focus on using a correct body position, acceleration of hand speed, and overall pacing. When it comes to competing in any triathlon or swimming competition, the pacing is key. 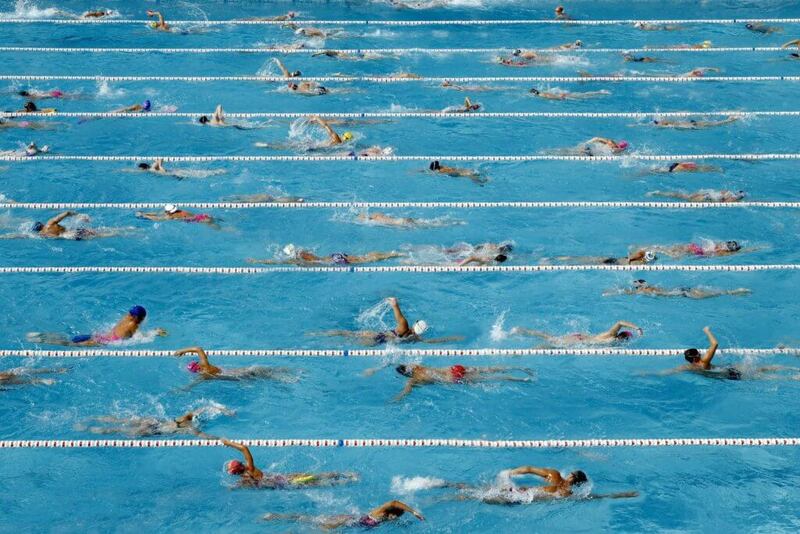 Pacing can be a common problem in swim training and when racing, particularly when swimming in a crowd. Many athletes simply go out too fast, become fatigued prematurely, and have to complete the race feeling spent, slow, and not smooth! Training with a Vasa SwimErg offers the ability to pace your effort while avoiding monospeed pulling and improving overall performance. In order to improve as a swimmer, real-time feedback on your form and sustained power will help you make adjustments. It’s not always easy to gain that feedback when swimming in the pool. Working with a qualified coach who is skilled at using a Vasa swim bench will guide you with remote swim coaching. But you can also coach yourself by noting workout data and paying close attention to maintaining an efficient stroke technique. The SwimErg can monitor power output with the ANT+ wireless power meter and results can be sent to a swim coach, for instance. You can also take video recordings of your training (either “selfies” sent to the coach for analysis, or with real-time chat tools like Skype or Google Hangouts). Everything from hand entry, hip rotation, and head position can be monitored as you workout, so there’s no excuse to skip any of the swim workouts scheduled in your training plan, especially if you’re pressed for time to get to the pool. If you do not have the time to do every workout at the pool, that’s an opportunity to do some planned workouts at home. Using swim-specific training equipment, like a good swim bench will save you time each day and you’ll maintain consistency. It’s amazing how much good training can get done in 20 minutes! When combined with a bike trainer and treadmill, you can effectively train for a triathlon, even when the pool is closed. 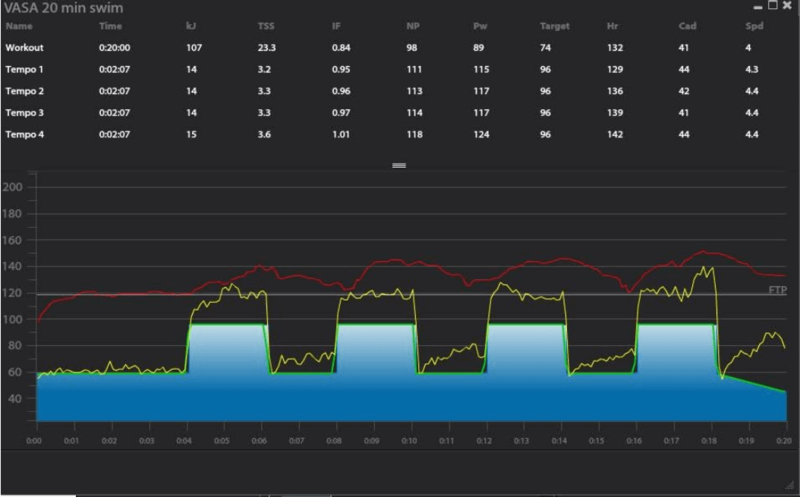 You can also monitor and record your at home workouts to monitor your progress and to send results to a coach who can verify that data and give suggestions to improve. While at-home training won’t entirely replace your time in the water, it is an effective way to maintain quality swim training when you’re juggling other commitments in your life. It gives you the ability to focus on what matters most while still achieving your goals!